Great British style fish and chips. Huge serving, 2 fillets for only $12. Plus great burgers and beer. Delish burgers made by a very friendly couple. Quirky burger bar. 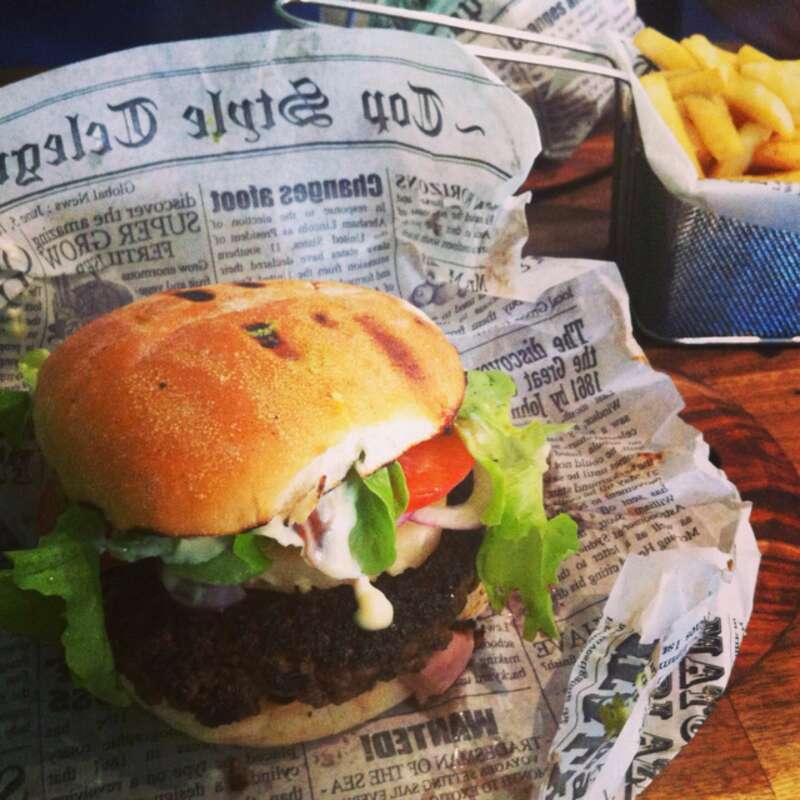 Not only do the burgers get served wrapped in ye old English newspaper on a wooden board, with the chips in a tiny novelty deep fryer - but the burgers are going to give you the biggest tastegasm of your life. Your welcome. Home of the perfect burger.